Fernando T. Maestre was born in Sax, Spain, in 1976. He received his BsC. and PhD. in Biology from the University of Alicante, Spain, in 1998 and 2002, respectively, with the maximum qualification in both cases. After his PhD. he moved for a post-doc at Duke University (USA) as a Fulbright fellow (2003-2005). In 2005 he returned to Rey Juan Carlos University, Madrid, Spain, in 2005, first as a “Ramón y Cajal” researcher and since 2009 as an Associate Professor. Albeit not narrowed to a particular topic, his scientific career has been mostly devoted to understanding how semiarid ecosystems work, and how they are responding to the ongoing global change. His research uses a wide variety of tools (field observations and experiments, laboratory work and modeling) and biotic communities (vascular plants, biological soil crusts and soil microorganisms) and is being carried out at multiple scales, from single-site studies in semiarid ecosystems of Spain to large-scale field studies with sites located all over the world. Dr. F.T. Maestre is very successful in performing high quality research. He is author of 168 articles published in international peer-reviewed journals (total number of citations: 9294 and h-index = 50 according to Google Scholar, 21 January 2016), including articles in Science, Nature, Proceedings of the National Academy of Sciences USA, Nature Communications and multiple articles the top ecology/biology journals (e.g., Ecology Letters, Ecology, Global Ecology and Biogeography, Proceedings of the Royal Society B, Journal of Ecology, Oikos, Functional Ecology and Ecological Applications). He is the main author and co-author of ten articles recognized as “highly cited” by ISI. He has also published many book chapters and articles in Spanish scientific and popular journals. He has authored or co-authored five books, and edited two more. He is or has been a member of the Editorial Boards of the scientific journals Journal of Ecology, Ecography, Revista Chilena de Historia Natural, Plant and Soil, Scientific Data, Arid Land Research and Management and ISRN Ecology, and of the Spanish journal Ecosistemas. He has supervised five PhD, 11 MsC and 13 BsC theses, and five post-doctoral stays so far, and currently is supervising six PhD. students and three undergraduates. 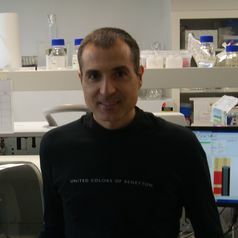 Dr. Fernando Maestre has also obtained a numerous of grants and awards, including a Humboldt Research Award, the “Miguel Catalán” prize for young scientists, awarded by the regional government of Madrid, and the Prize for young researchers working in the life sciences, awarded by the Royal Spanish Academy of Sciences. Since October 2005, he has led eight research projects totaling more than 4,000,000 €, including both a Starting Grant (BIOCOM, 2010-2015) and a Consolidator Grant (BIODESERT, 2016-2020) from the European Research Council (ERC; Dr. Maestre is the first Spanish ecologists in receiving both a Starting and a Consolidator Grants from the ERC).